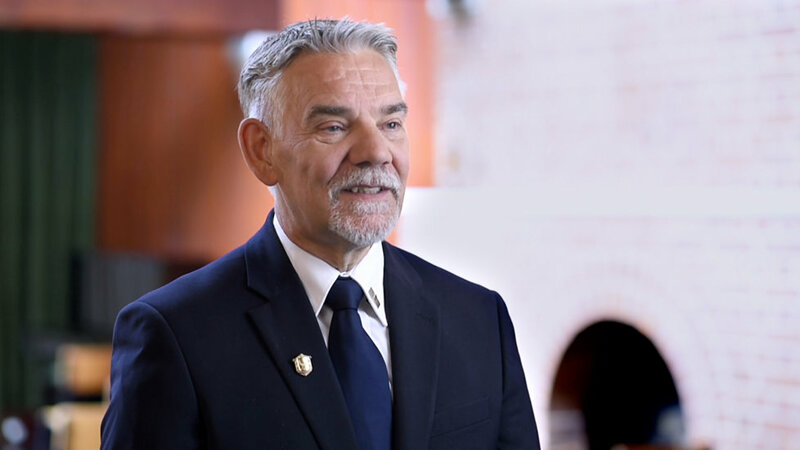 I met Mr. Miscavige several times and one particular occasion which I think highlights the degree of care and attention to detail is that on one occasion, when he came to Saint Hill. Previous to his arrival, I had had an accident, and I had a very small scar on my forehead which had a couple of stitches in it. But it was healing, and it had been about a week or so. But when I met Mr. Miscavige and we were touring around Saint Hill together, he noticed, as he would, that I had a small scar on my forehead and he asked me how it happened and I explained it to him. And he asked me if I had had, you know the correct medical attention and he wanted to make sure that I had gotten some pastoral counseling to ensure that any trauma connected with the accident had been handled. And he saw to it personally that that it occurred. I thought that was an amazing attention to detail and care for an individual, because he could have just ignored it completely and carried on, but no, he wanted to make sure it was handled. There was another occasion where he came through the, what we call the Great Hall at Saint Hill. 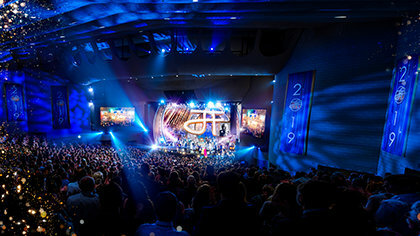 And I was setting up lighting for someone on the stage who was doing a speech and the person on the stage mentioned that the lights seemed quite bright, and Mr. Miscavige said to me “They are having problems with the brightness, do you have a light meter and the things necessary to make sure the lighting is as it should be?” And as it happened, I didn’t have, and I was trying to set lighting, using light switches and you know kind of archaic system of lighting, rather than an actual meter. So he basically helped me through that, so that the person was comfortable on the stage. And he wanted to make sure that she was comfortable and paid attention to that. And then he said to me afterwards that he would get a light meter sent down to me from America so that I could always have it proper. And again, he had just been passing through, he wasn’t actually, he was literally walking through the hall, going somewhere else and stopped to take up the fact that this lady had made the origination that the light was a little strong. And instead of thinking, “Oh he’ll handle that,” he wanted to make sure, that I had, you know, why was that? And find out all about it. And I think that’s really, what makes his leadership so amazing, it’s like that care and detail and find out all about something. Why is it like that? And the help that came afterwards. One particular time at Saint Hill I was asked to play drums with a bagpipe player, for Mr. Miscavige as a surprise (he didn’t know). As it turned out it didn’t happen until about 11:00 at night and it was misty and it was wet and he had gone into a building so, since it was a surprise we couldn’t particularly follow him into the building, etc. So we just started to play outside. And so we were playing the drums and the bagpipes, thinking well, you know, they carry quite far, maybe he’ll hear it, maybe he will be happy, maybe not, but we’re here now, so we’ll do it. Anyway, the door burst open, the lights spilled out and out comes Mr. Miscavige, and he walked straight up to us, and he stood there in the mist and the rain and listened to the whole thing. And then he was like “Wow, you guys have learned this, this is fantastic, thank you very much.” And he was so appreciative, and, I don’t know, to me it was like, you know if you put yourself in that position. It’s eleven o’clock at night, it’s misty, it’s wet, and the haunting pipes, and everything else, he could have just listened from the inside and sent a message, or something. But no, he came out himself, he stood there in the wet and listened to us until we concluded and then was very appreciative. And I think that’s another sign or token of, a) his appreciation, b) his validation and his, just general beingness. We are expanding at a phenomenal rate under his leadership. 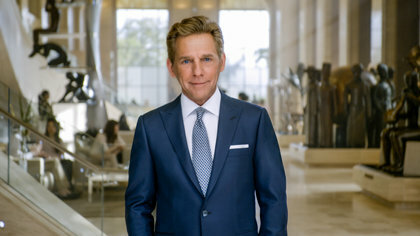 So for me, Mr. Miscavige is the top man and I love his leadership and the compassion with which he leads, and yeah, I think that we are in very, very, very, very good hands.